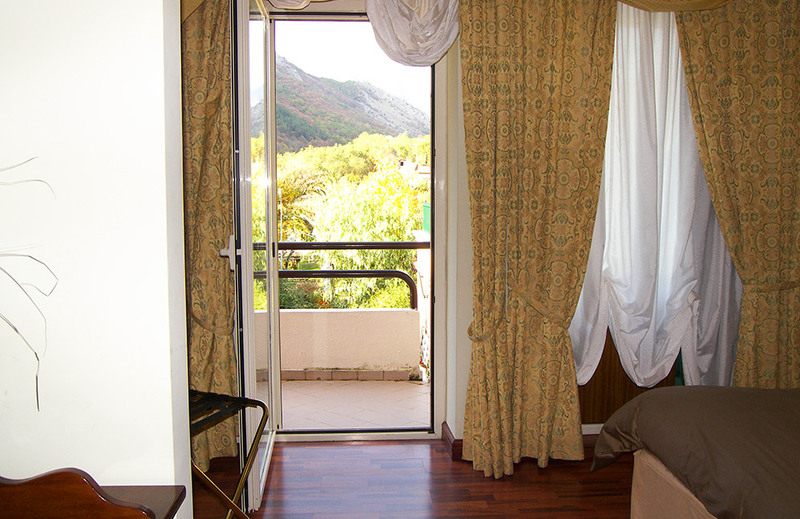 Elegant furniture, a welcoming room with a nice balcony with a panoramic view where enjoy peace and relax, totally plunged into the natural park that surrounds the hotel. This solution is a perfect mix of charme, elegance, luxury. 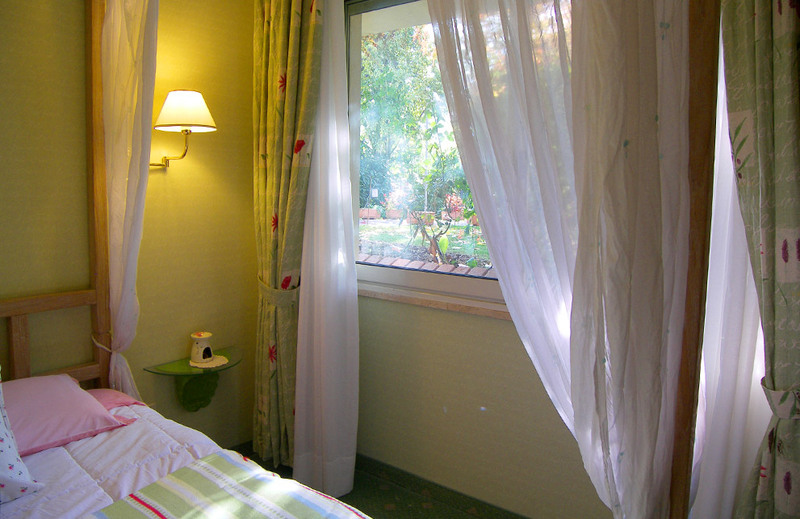 The location is suitable for a relazing stay. 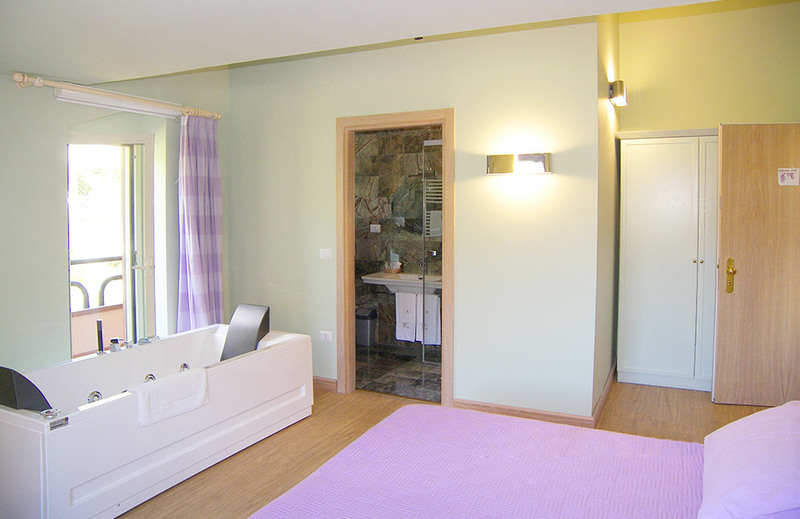 The well-finished bathroom has a shower box with chromotherapy, hotel amenities and hair dryer. 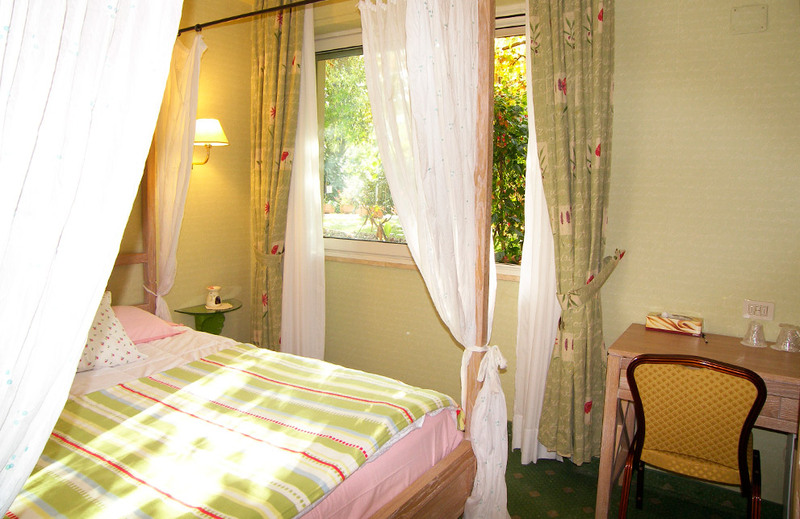 Suite with balcony that overlooks the garden, parquet and whirlpool for 2 persons, bathroom with emotional shower. 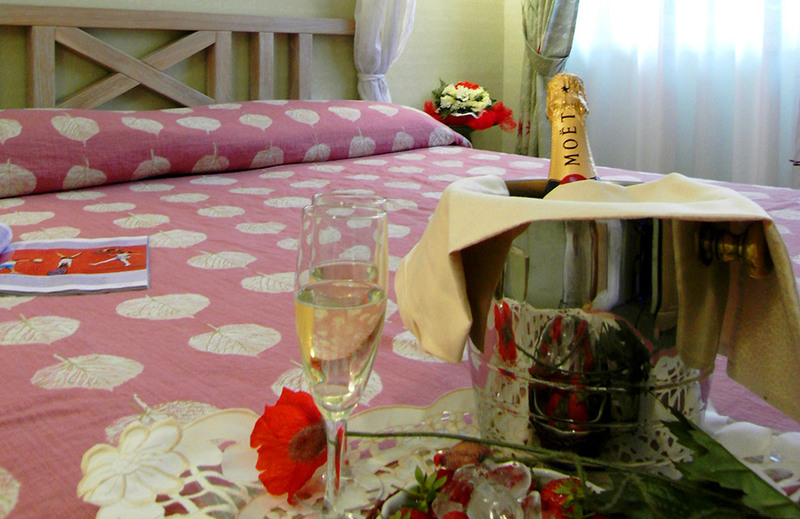 A pleasure to be enjoyed in couple or alone, while staring at a unique and amazing panorama from our private terrace. 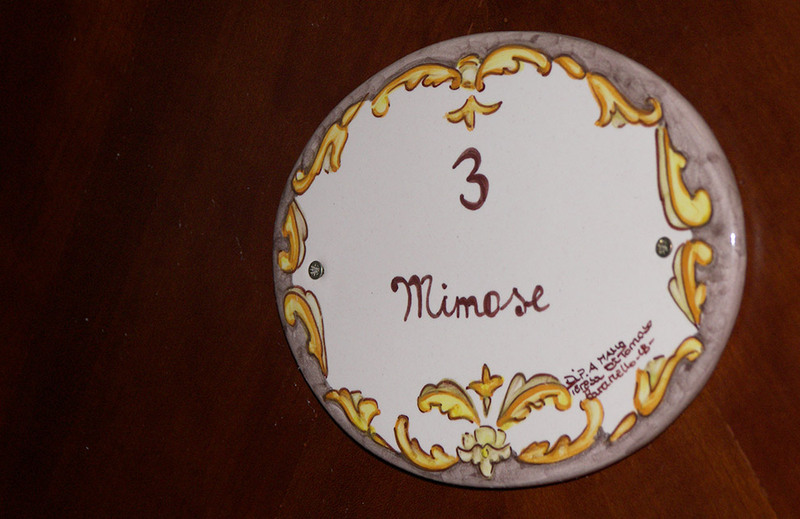 The room is furnished in an elegant way and in the shades of wisteria, from which the room takes its name. Its furniture are in wood and the details recall the floreal notes of the wisteria, to give life to a sensual and relaxing atmosphere. The maximum of comfort and privacy. Plunged into the peace and silence, into the beauty of the surrounding natural landscapes. 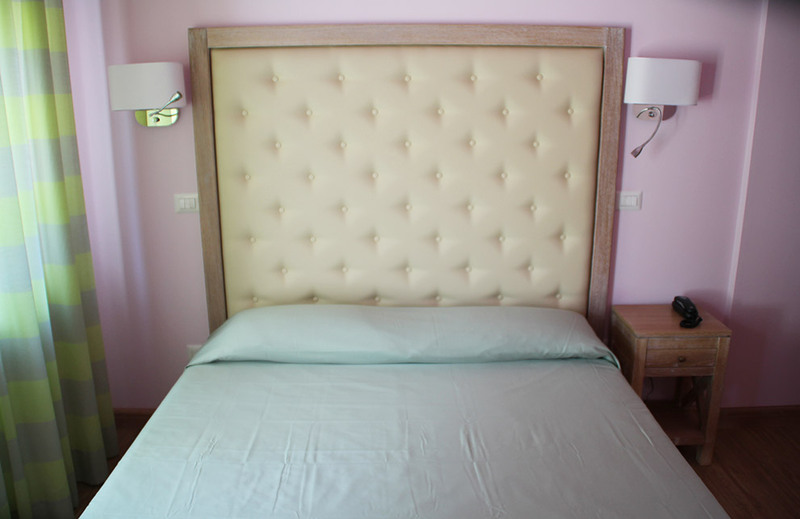 Thanks to the attention payed by the staff it is possible to ask for aperitifs or breakfast in room, to make even more pleasant and luxuriant every stay in this brand new suite. 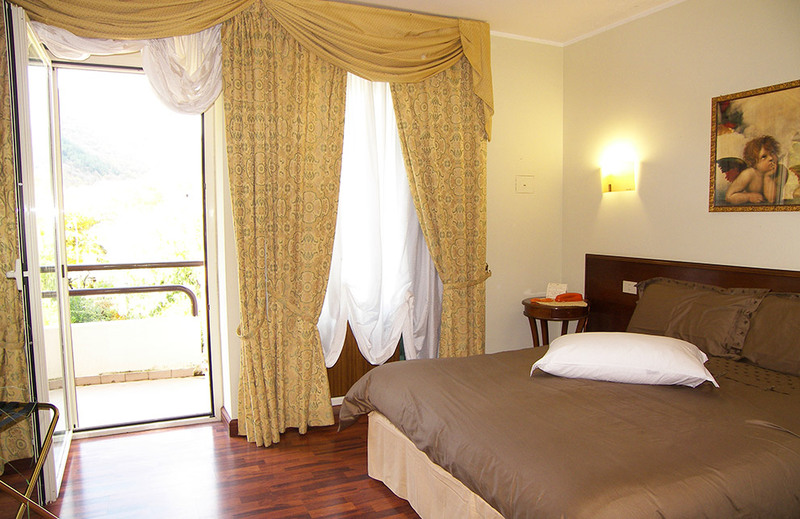 Elegant double bedroom, Deluxe, with private panoramic balcony. 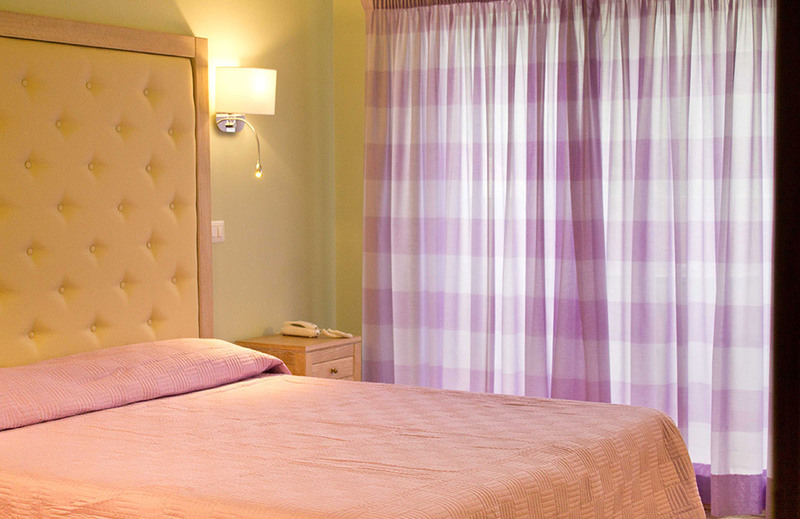 In a romantic style, it is one of our most beautiful rooms, with its pale colors. 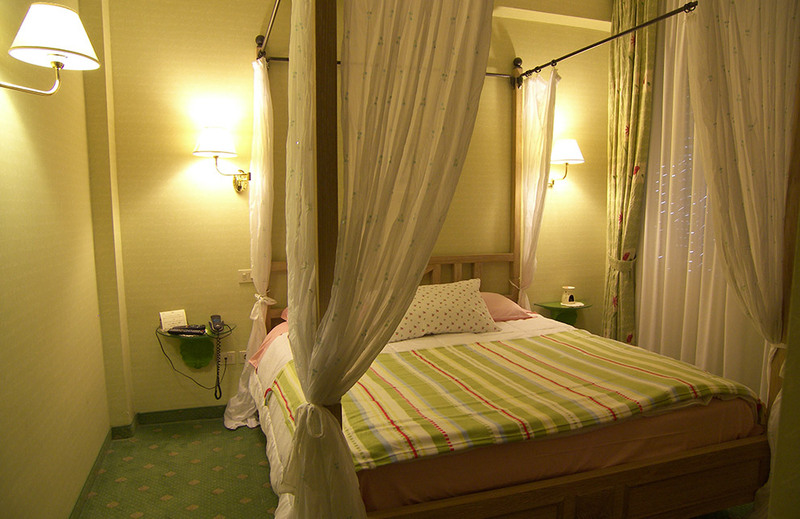 The bed has a nice canopy. 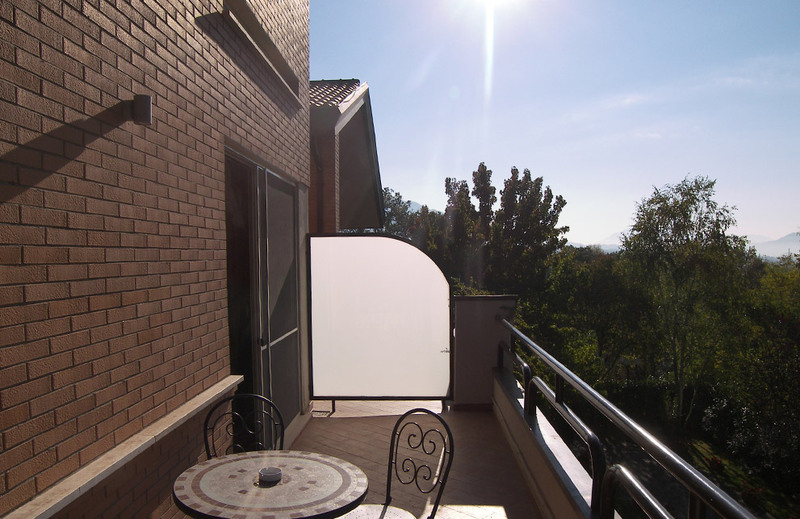 It has an extraordinary elegance and offers a striking view both at day both at the sunset. 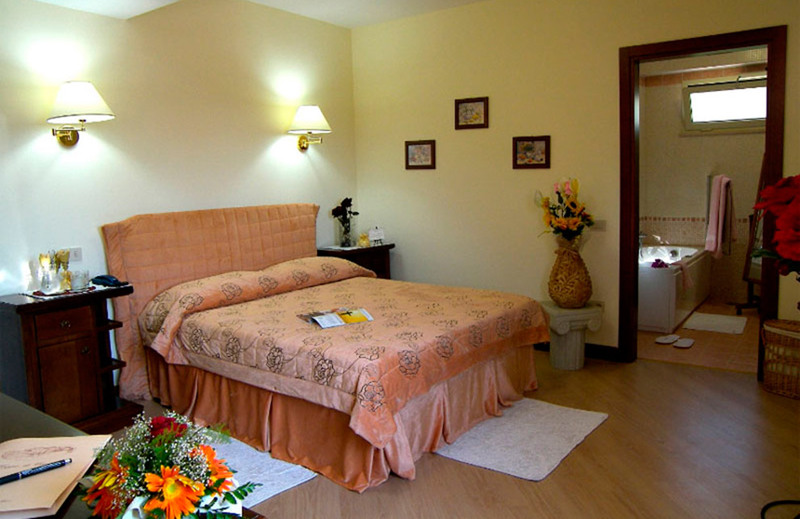 The whole hotel is surrounded by a garden with lights choreographies in the night and well-finished twists of trees and flowers, that make even more Baroque our location. Furthermore, the nature that dominates around is really blooming. 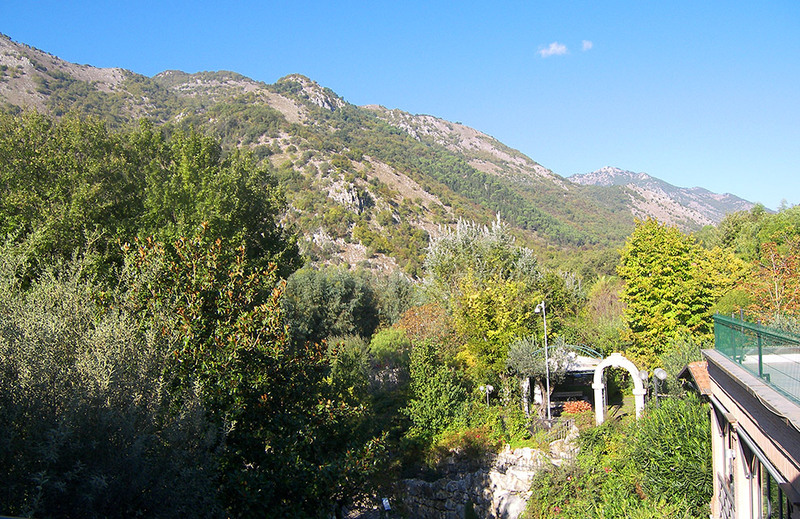 We are at the feet of the Abruzzo, Latium and Molise National Park. There are a lot of chances to do trekking and trips on the Mounts around and there are different paths to be crossed by feet or by bicycle. 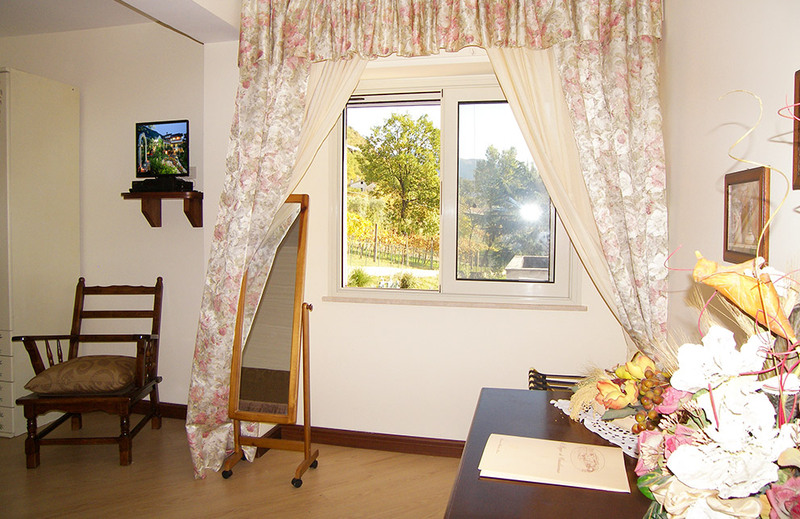 The position of the Hotel is really cozy, by being closed to the highway that passes through Cassino. The bathroom of this room is amazing, all painted in rose with a tile floor, sink and mirror, a marvellous whirlpool, bidet and hair dryer. 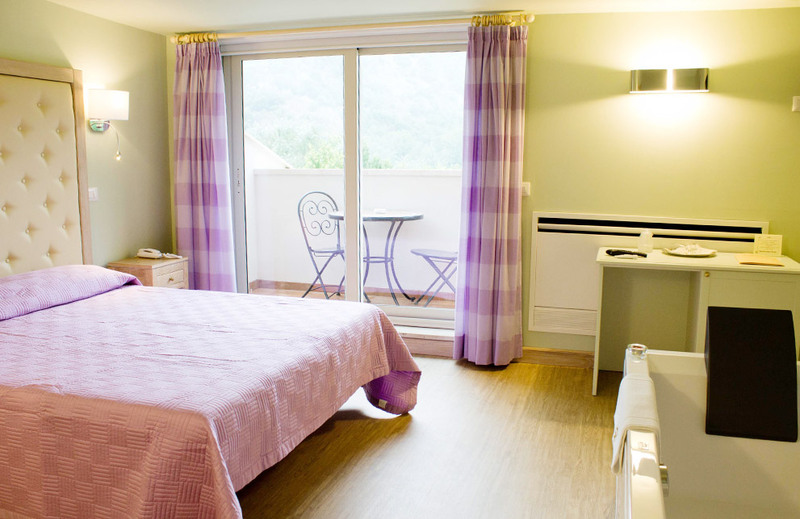 This double bedroom is a Deluxe, this means that it is really comfortable and offers a really nice view on the garden, thanks to the wide terrace it has, the right place where to have breakfast, enjoy a cup of tea or a coffee or simply stare at the surrounding woods. 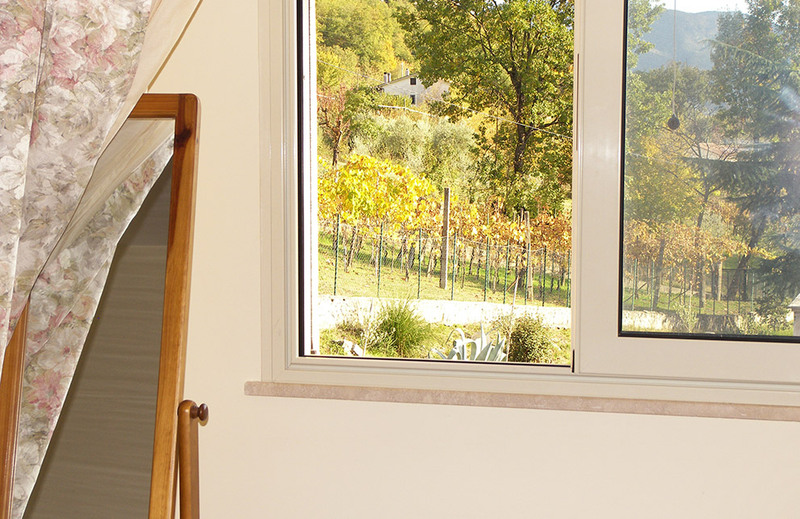 It has a pure and delicate furniture that matches with the landscape. 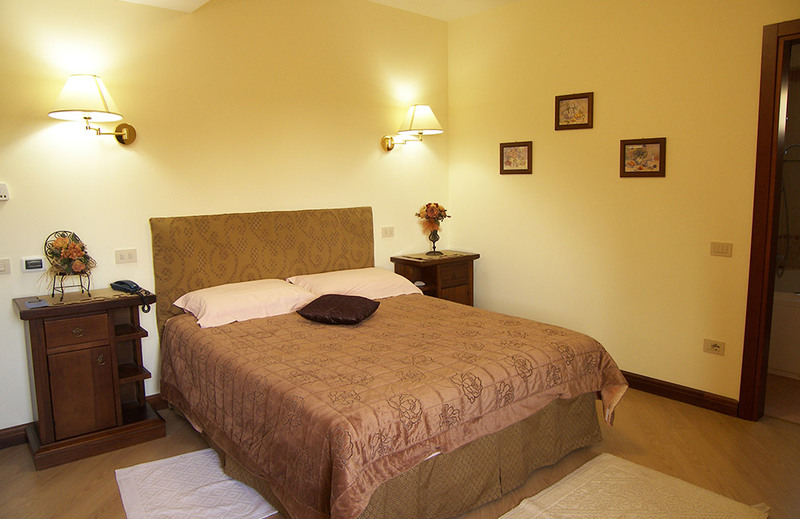 The bathroom, that is furnished in an elegant way, has a whirlpool where to spend relaxing moments. Hotel amenities for free. Bathrobe and slippers. 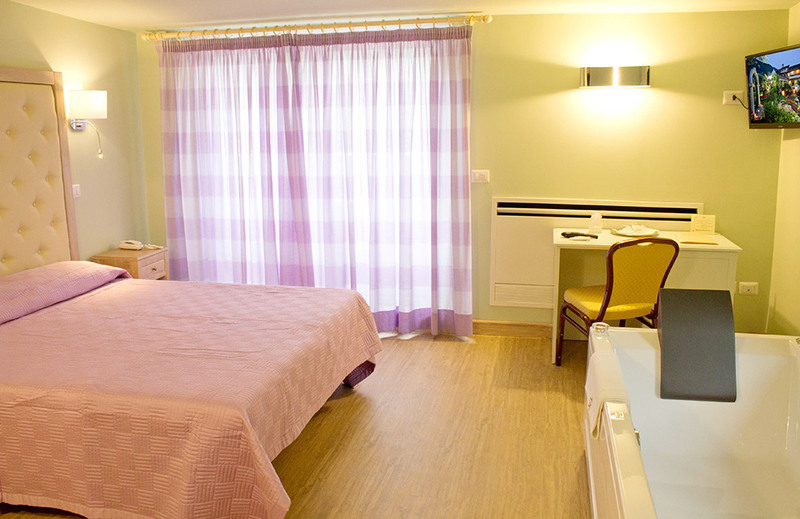 This wide room, bright and with a private balcony, is especially comfortable and equipped with every accessory that is useful to our wellness. 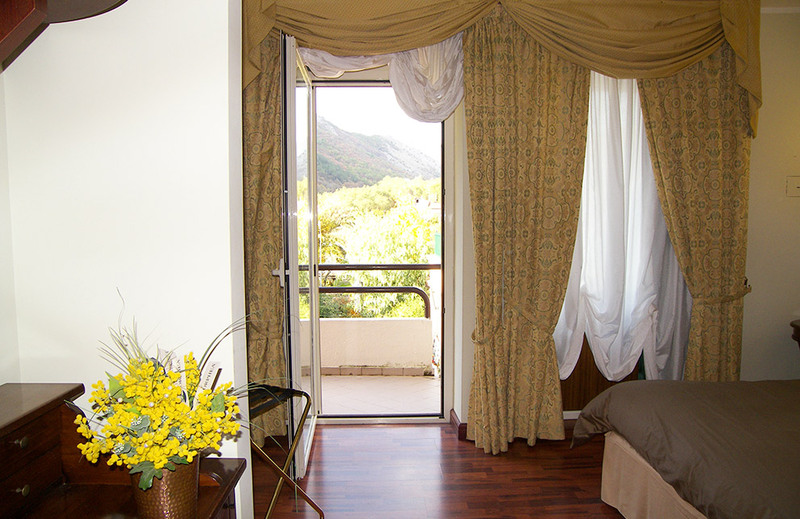 Elegantly furnished, this room is a beautiful shelter for couples or travellers who want to "cuddle" themselves a little. The furniture of this room is especially rich, it gives a sumptuous touch to the room. 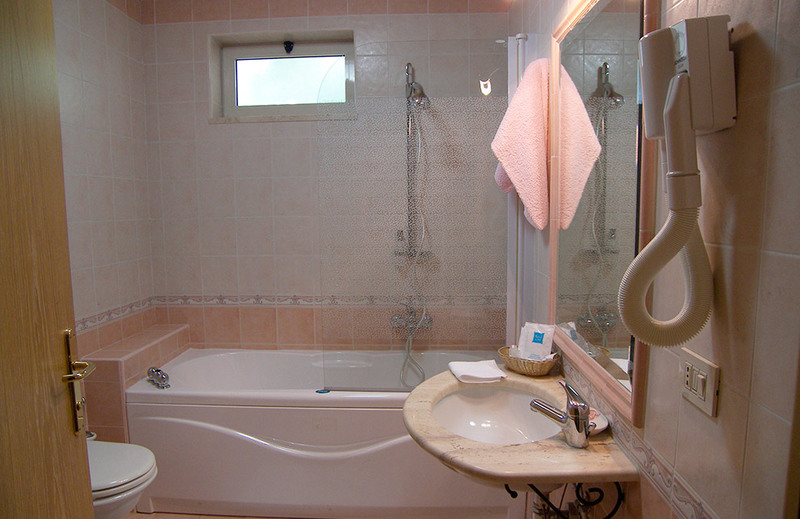 The colors are warm and in pink shades, the bathroom is wide and has a window. 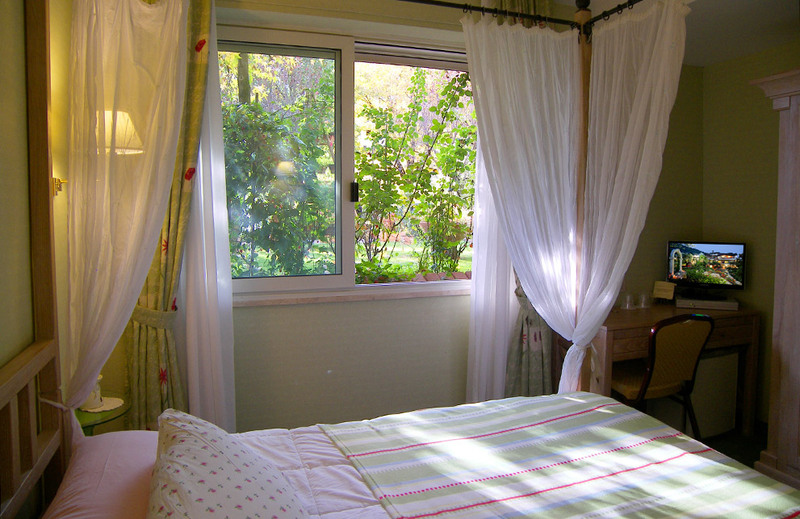 The exposure of the room is suitable to catch the light during the day. 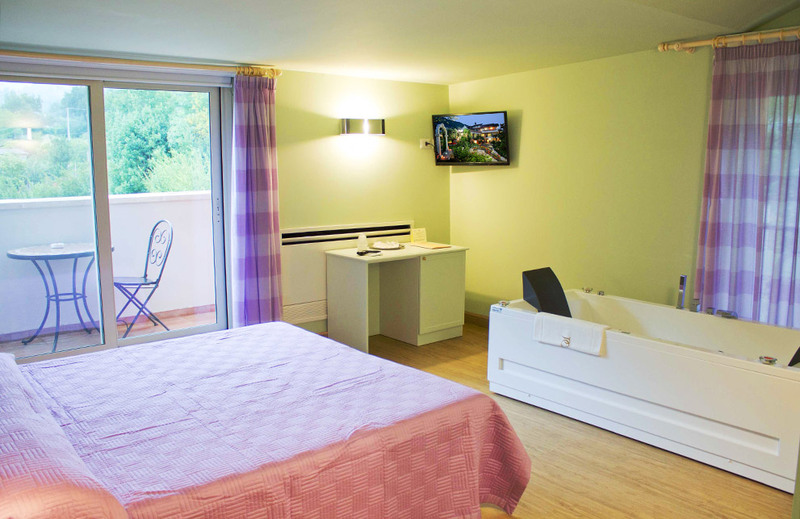 In the bathroom one will find a whirlpool, hair dryer and premium hotel amenities for free, slippers and bathrobe. 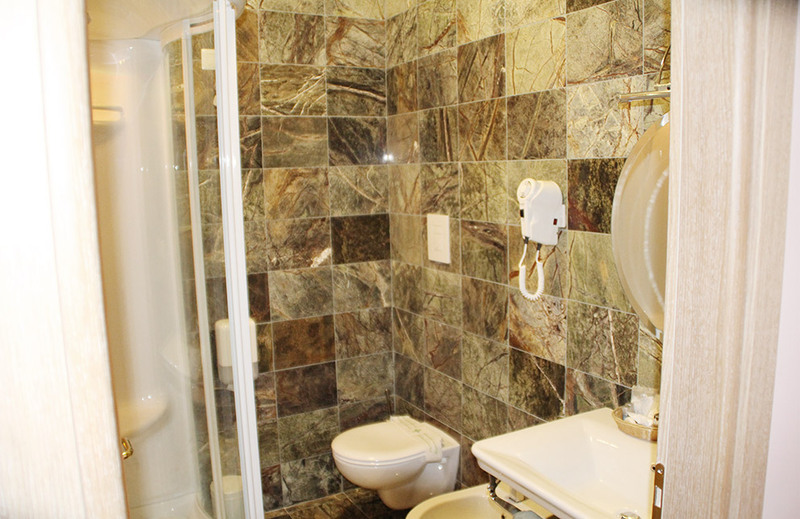 Tile floor and the mosaic walls make this bathroom one of the most welcoming and beautiful of our hotel. Enjoy a bath in this bathroom with warm colors and let you feel totally wellness feelings.